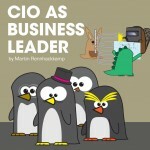 How can the CIO bring the organisation to a new direction? There is no doubt that BI and analytics are making an impact across all industries, especially when we incorporate emerging technologies such as big data, in-memory analytics and so on. The dilemma lies not in deciding to implement it or not, but in getting the executive leadership to understand how these technologies should be applied. The organisation needs an information strategy that will change the direction of the company. Today’s CIO is in the correct position to play a more active role, especially to ensure that BI and analytics deliver the required insight to create, change and implement the business strategy effectively. So the modern day CIO should lead downward to bring out the insight and value from the IT, BI and analytics teams, as well as lead “sideways” to take the company’s executive team on the mission to use data, information and insight to affect and implement new and enhanced business strategies with new priorities. An article in Information Management states the CIO must master three critical roles, namely product manager, recruiter and business leader. Product Manager – The CIO has to assemble easy-to-use BI, big data and advanced analytics “products” or “components”, designed to match the appetite, usage and consumption patterns of internal customers. Strategically, the CIO should lead the team and implement easy, understandable steps in order for the BI team as well as the executive teams to understand analytics, big data and how these can be applied. The objective must be to make data-driven insights available to senior staff in a timely manner in order to make an impact on the organisation. The CIO working in this role should therefore look to expand the analytical “product portfolio” as the organisation matures and adapts to using it. Motivator – The CIO has to motivate and retain the best talent needed to get this right. Although HR typically undertakes hiring, the CIO should have significant input on the final decision. Especially with BI, big data and analytics, the CIO must be more involved to ensure that the right person is hired for the job –someone who actually understands the technology and its application in the business. It is sometimes easier to cross-train a business stalwart on the technology, than it is to impart business knowledge and particularly experience of the organisation’s culture on a young techno-whizzkid. Of course, you also have to manage this team correctly and look after their interests to ensure that you keep them on board. Business leader – The CIO needs to build and operationalise the capability in the business that will enable information-driven transformational change and impact at scale. 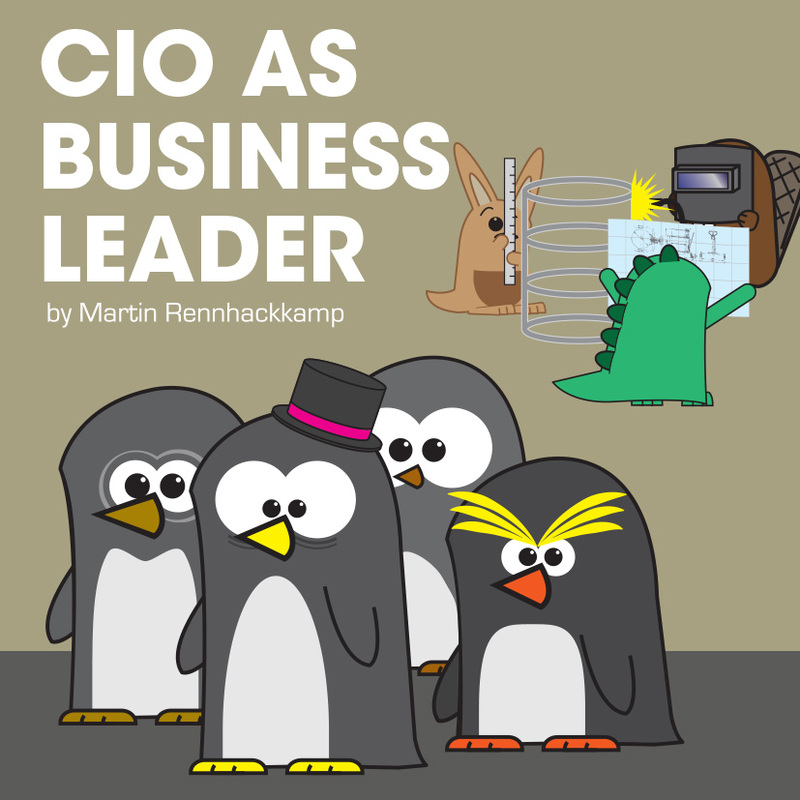 The CIO must transform the authority of line management into credibility to change the running of the business. Most importantly, the CIO must balance demand and supply; thereby guaranteeing that data becomes and remains valuable. From an information and insight perspective, the CIO must lead the discussion with the broader management team to ensure that BI, big data and analytics are made to work for the business. In her blog on CIO leadership, Laura Stuart states that the modern CIO has the opportunity to establish a profit-oriented profile in the organisation. But in order to have the personal resources to best leverage the greater position of business leadership, the CIO must potentially be willing to allow a greater spread of IT responsibility. It may be counter-productive to still try and micro-manage all aspects of IT and influence the business strategy at the same time. A poll of 1 000 C-level executives by Wakefield Research conducted for Avande in late February 2014 revealed there is a growth in comfort in most businesses to move more IT decisions and IT budget responsibility away from the CIO. As I mentioned in a previous blog on the “uprising” of Chief Data Officers, we need more CIOs to focus on information and insight, while leaving the technology management for the Chief Technical Officers. There is no doubt that BI, analytics and big data are changing the dynamics of the workplace and especially the creation and changing of business strategies. So, it is essential that CIOs step up to this role and leave the more detailed technical work to the CTO and the IT department, who do not necessarily have the experience and especially the insight into the role of information to lead an entire business to another level.